LiveMD wants you to have all of the facts about River Blindness to keep you and your family protected from this debilitating disease. River Blindness, also known as Onchocerciasis, is present in 36 countries around the world, putting more than 120 million people at risk of becoming infected. Each year 18 million people contract this disease, the majority of them residing in Africa and South America. This disease is the second leading cause of infectious blindness and is cause by a parasitic worm that is passed to its human host through the bite of a blackfly. These flies breed in rivers and streams, putting those living near the water at a higher risk for blindness, which is how the disease got its name. Once bitten, the fly then passes on a parasitic worm to its host. This worm can live inside of the human body for nearly 14 years and grow up to half a meter in length. The female worm produces millions of larvae that migrate throughout the body and when these larvae die they become toxic causing numerous, severe symptoms, blindness being one of them. What are the Symptoms of River Blindness? What Treatment is Available for River Blindness? Prevention of Onchocerciasis is very difficult as the prevalence of blackflies in certain countries is very high. Wearing long clothing and staying away from areas that are known to have high infection rates can help to protect against blackfly bites. There is a medication available, called Ivermectin, that, when taken once a year, can keep the larvae from moving through the body and will prevent the worm from producing more. This treatment will stop the severe itching associated with this infection and will prevent blindness from occurring. It can also help to stop the spread of this disease. Many countries have programs in place to offer this medication free of charge for those living in high-risk areas. Initiatives have also been started to help control the population of black flies by killing their larvae using environmentally friendly pesticides. This reduces the amount of blackflies in the area and therefore reduces the amount of people affected by River Blindness. If you suspect that you have been bitten by a blackfly and may have contracted the parasite responsible for Onchocerciasis, please contact one of our healthcare professionals right away. The doctors at LiveMD have all of the important information that you need to know about River Blindness and can help you get the treatment that you require. Visit www.mylivemd.com today. Select an Ophthalmologist below and talk by Phone, Text, Video Chat, or In-Person. Macular degeneration is a condition that affects your eyes and vision and begins to occur as you age. 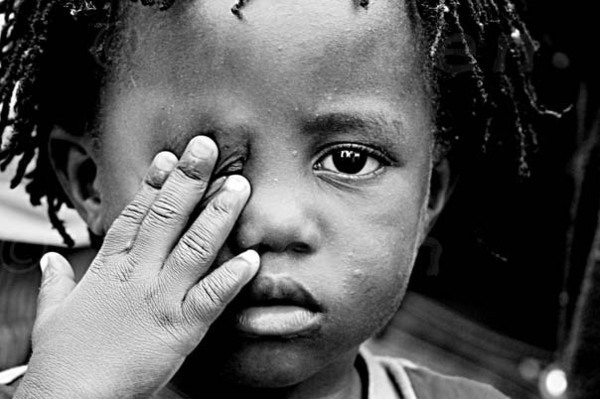 It affects over 23 million people around the world and is the fourth most common cause of blindness. This disease is usually found in older adults and occurs when a part of the retina in the eye begins to deteriorate. Often, in the early stages of this disease there are very few symptoms and without regular check-ups, it may go undetected for many years. Once symptoms begin to appear, they may present as a blurring or gradual loss of the central area of vision. Straight lines may be distorted and objects directly in front of you become dark, blurry or white. The peripheral vision can still remain clear but the distortion of central vision may mean that it is difficult to identify faces and makes daily activities like driving, impossible to do. Regular visits to an ophthalmologist are recommended for all adults over the age of 45. 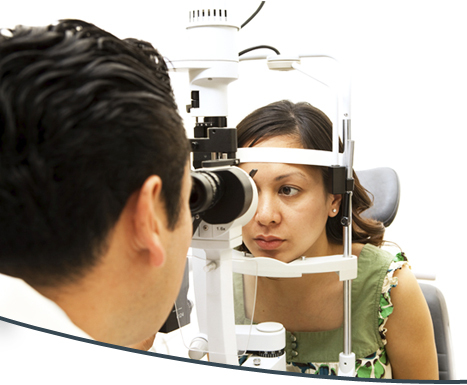 These visits should occur every 2 years to check for any changes in vision or physical deterioration of the retina. It is also important to see a doctor if you notice any changes in your vision. Although there is no cure for macular degeneration, there are treatment options available that can help to slow down the progression of the disease. Some studies have been done on taking certain vitamins, like vitamin C, beta carotene, zinc and copper. These studies have shown positive results and a slight decrease in the progression of vision loss. Other treatment options include injections into the eye and laser therapy, both of which help to preserve your current vision and help to keep it from getting worse. Although this disease cannot be completely prevented, you can reduce your risk factors by following some simple lifestyle changes and taking good care of your eyes throughout your life. 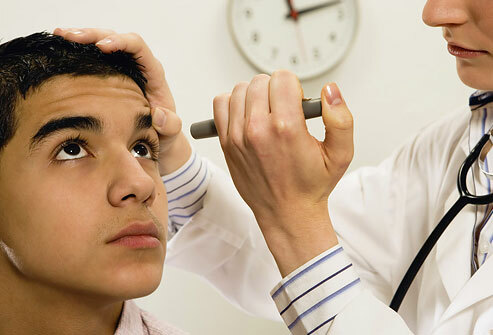 Routine check-ups with your family doctor and an ophthalmologist will allow you to identify any changes to your vision or the health of your eyes early on and will help to decrease the rate of progression if any disease is detected. Eating a healthy diet, rich in vitamins and minerals, will give your body (and your eyes) all of the nutrients needed for good health and quitting smoking is also important as cigarettes can almost double your chances of suffering from macular degeneration. If you have concerns about the health of your eyes, are experiencing vision problems or have questions about macular degeneration, LiveMD would like to help. Our physicians and ophthalmologists have all of the answers that you need and can assist you in right over the phone, by text message, online through live, video chat r in-person. Book an appointment today and start seeing better tomorrow. Are you suffering from itchy, pink eyes? If so, you may have pink eye. LiveMD provides you with the signs and symptoms of this infection and gives treatment options to help you feel better faster. Pink eye, also known as conjunctivitis, is an extremely common, highly contagious infection that can affect one, or both eyes in a person of any age. This infection occurs when either a virus or bacteria comes into contact with the eye, causing it to become red, inflamed and infected. Often the eye is extremely itchy, sore and there may be a thick white or yellowish discharge that is secreted. What should I do if I think I have pink eye? Although pink eye can be uncomfortable, it is not usually a serious condition. The infection will usually go away on its own within a week but the use of prescription, antibiotic eye drops can shorten its duration and help to relieve some of the symptoms. These eye drops can be prescribed by a doctor. There are also some at-home treatments that can provide relief for pink eye. Bathing the eye with warm or cool water or applying a compress to the eye can help to reduce the swelling, remove any discharge and relieve itching. Over-the-counter pain medications can also be taken to help reduce any pain. It is important to speak with a doctor immediately if the infection has lasted longer than a week, if the symptoms are severe, if you are experiencing a great deal of pain or if your vision is affected. In most cases, pink eye can be prevented with good hygiene habits. Washing your hands frequently and refraining from touching your eye area will help to keep you from contracting this infection or from spreading it to other people if you already have it. If you are suffering from pink eye you should not wear any makeup on your eyes until the infection has cleared up and you should throw out any cosmetic products that may have been used while you had the infection. Using contaminated products could spread the pink eye from one eye to the other or it may cause the infection to be prolonged or recur after already clearing up. The same rule should be used when applying a compress or bathing your eyes to relieve pink eye symptoms. A different cloth should be used for each eye and they should only be used once. Cloths should then washed in hot soapy water to ensure that all bacteria has been removed. Lastly, to avoid spreading the infection make sure that when instilling eye drops, the dropper tip does not come into contact with the eye or any membrane around the eye. This can contaminate the medication inside, can spread the infection and make it harder to cure. Also, eye drops should not be shared amongst family or friends as this increases the chances of spreading the infection as well. If you suspect that you have contracted pink eye and would like the advice of a doctor or ophthalmologist, LiveMD has a team of trained professionals that are online and available to assist you right now. Visit www.mylivemd.com and begin your live, one-on-one consultation right away by phone, video, text or in-person. It is often said that our eyes are the window to our soul but it is also true that our eyes can say a lot about the condition and health of our bodies. LiveMD offers information on what your eyes can tell you about your wellbeing. Redness is one of the most common afflictions of the eye and it occurs when the tiny blood vessels in the eye become irritated and inflamed. Dust, dry air, colds or allergic reactions can all cause the eyes to become red. Usually this problem will resolve on its own or with the use of a moisturizing, over-the-counter eye drop. Other causes of redness include infection, injury or scratches to the eye, ulcers or an increase in eye pressure. It is important to contact a doctor as soon as possible if you experience red eyes along with nausea and vomiting, if your vision is affected in any way, if you have a severe headache, or if there are signs of infection such as itchiness and white or yellow discharge. Jaundice is a condition that is caused when there is a buildup of a substance called bilirubin in the body. A well functioning body will naturally produce and then eliminate this substance but if certain organs are not working as they should, the bilirubin levels can rise and cause a yellowing of the skin and the whites of the eyes. Conditions affecting the liver, pancreas or gallbladder (such as alcohol abuse, cirrhosis, hepatitis, infection, or gallstones) and certain blood disorders can all cause jaundice. It is important to speak with a doctor if you suspect that you may be suffering from this condition to determine its cause and receive appropriate treatment. Eyes the begin to protrude or bulge can be a sign of a serious medical condition. An overactive thyroid or a condition called Graves disease are the two most common reasons for bulging eyes to occur. This could also happen if there has been an injury to the eye, if there is an infection or if there is a buildup in the fluid behind the eye causing pressure. If you begin to experience any protrusion of either one or both eyes, it is important to seek medical attention immediately. It is normal for our eyes to secrete fluids but if you notice that these secretions become thick, or are a yellowish colour it could be a sign of infection. It is common for redness, itching and/or pain to accompany this discharge. When treated in the early stages, most eye infections are not serious and can be cured with a course of medicated eye drops or antibiotics. When left untreated, however, these infections can become quite serious and may have a lasting effect on the health of the eye and quality of vision. As we age, it is common for our vision to gradually deteriorate but a sudden change in vision may be a clue that there is something more serious happening in our bodies. Flashing lights, floating dots or a grey area in the peripheral vision that come on quite quickly, may indicate the retina (a layer of the back of the eyeball) is detaching. Retinal detachment must be treated promptly (usually with surgery) or it could lead to blindness. A sudden loss of vision is also a very scary and serious occurrence and could be caused by any number of conditions. Macular degeneration and glaucoma are two common causes. A stroke could be a cause of a sudden decrease in vision or double vision. If you notice any changes to your your sight, especially those that occur quickly or are severe, contact a doctor immediately. 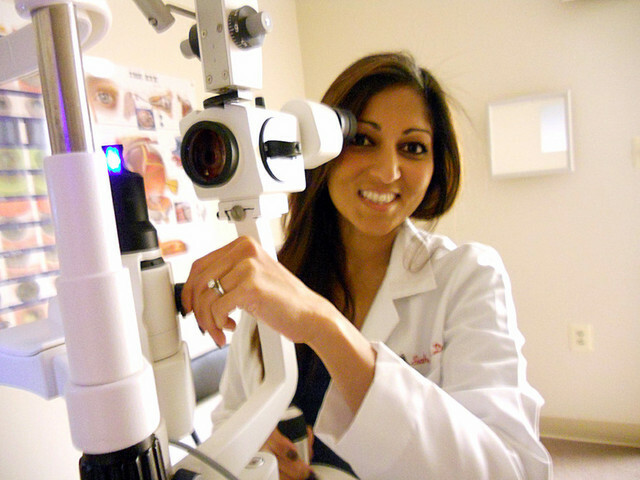 Ophthalmologists and optometrists are trained to provide you with the best care for the health of your eyes and your vision. LiveMD offers you the services of these professionals to keep your eyes and quality of sight healthy and strong for years to come. To talk to one of our doctors by phone, video, text, or in-person schedule an appointment at www.mylivemd.com today.